In 2013, Mercedes Benz became the primary sponsor of the then nascent Istanbul Fashion Week, galvanizing the Turkish fashion sector. From March 19-22, industry members convened at the Zorlu Performance Hall and indulged in imaginative and classic collections created by emerging designers. Turkish designer Serra Kefeli celebrated the decade anniversary of her label’s Kith & Kin’s conception at Mercedes Benz Fashion Week, Istanbul. Serra’s vintage passion radiates through the collection in ingenious fashions. Wool fabrics in bright hues gave the collection radiance and warmth. The opening look featured a muted periwinkle leotard and a peplum belt cinching the waist. Serra completed the look with flavescent tights and a dark, three tiered cape, proving herself to be a masterful colorist. Opaque stockings in vivid hues were the hallmark of the collection. Serra took a cue from the 17th century Italian folktale, Little Red Riding Hood, and dressed a redheaded model in solely scarlet garments, with a flair of red eyeshadow to boot! Unexpected color blocking commanded the show and regaled the audience. The greatest designers are those who fuse contradicting styles to create eclectic looks. Özlem Kaya reimagined the collegiate aesthetic in eerie hues, creating a haunting preppiness. 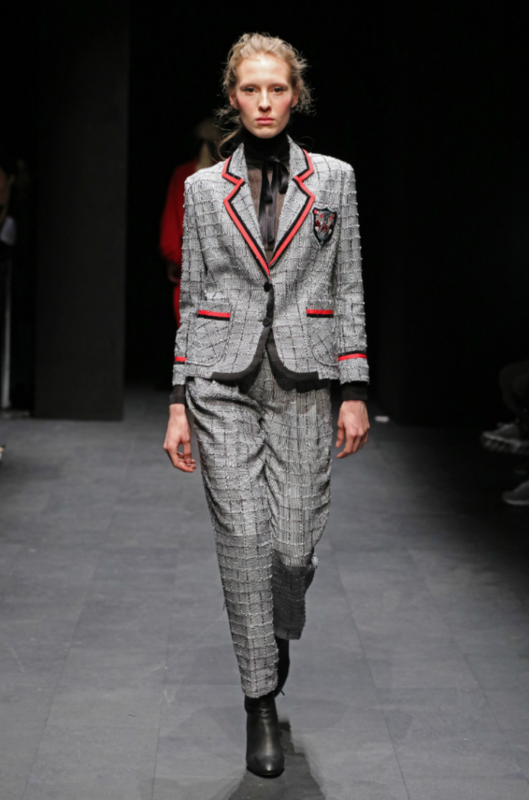 The collection featured textured checkers surfaced on a grey tweed suit, with stark red outlining defining the blazer’s lapel, pockets, and cuffs. Underneath, a Victorian neckline and bow conservatized a sheer black blouse. Özlem also played with the ethos of dark romance, fashioning feminine forms in dark hues. In an exclusively black look, a lace caplelet and high socks tantalize an empire waisted bubble dress, stripping it of its innocence. Exquisite ruffling, prodigious sleeves, and silky magenta defined Sudi Etuz’s collection. Following the launch of her label in 2008, the fashion industry has regarded Şansım Adalı as one of Istanbul’s the most exciting emerging designers. Istanbul’s rich architectural and cultural history continuously influences Şansım’s collections. One look featured a black dress with ruffles cascading from the neck to the calf, where the hem met oozing tulle. A belted waist created an hourglass silhouette, while bulbous sleeves bestowed it ingenuity. In the past, Şansım denoted her signature bulging sleeves as a means to empower women, to give them a sense of strength. She also noted the grandiose door of the Dolmabahçe Palace as inspiration for her signature sleeves. In another look, Şansım wrapped layers of tulle around the a slip dress to add shape at the hips and asymmetry at the hem. The monochromatic magenta color scheme bewitchingly feminized the look, while a revealing chiffon bra casted a titillating spell on the audience. Delectable exaggerations satisfied the imagination. Sebnem Gunay ascended to fashion prominence at lightning speed. At 19-years-old, Sebnem moved from a small village in Belgium to Istanbul where she planted her seeds in the city’s emerging fashion sector. In a blink of the eye, the budding designer blossomed into a full fledged flower, whose scent now permeates the global fashion realm. Before reaching the age of 25, Sebnem won the Best Design Award at the Who’s Next fair in Paris and caught the eye of international celebrities who have sported her designs like Bella and Gigi Hadid. The daring sartorial choices of Turkey’s youth inspire Sebnem’s designs, specifically influencing their color palette. 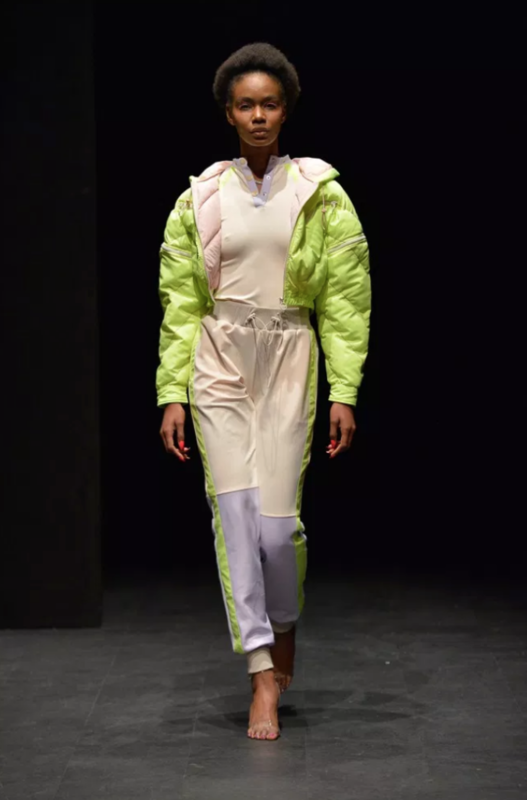 Sebnem showcased chic sportswear with neon accents at Mercedes Benz Fashion Week, Istanbul. One look featured beige separates and a cropped, lime puffer jacket, an ode to the ‘80s aesthetic. Another look saw a zipper plunge the neckline of a mini athletic dress, while retro striped, over the knee socks greeted it’s hem. 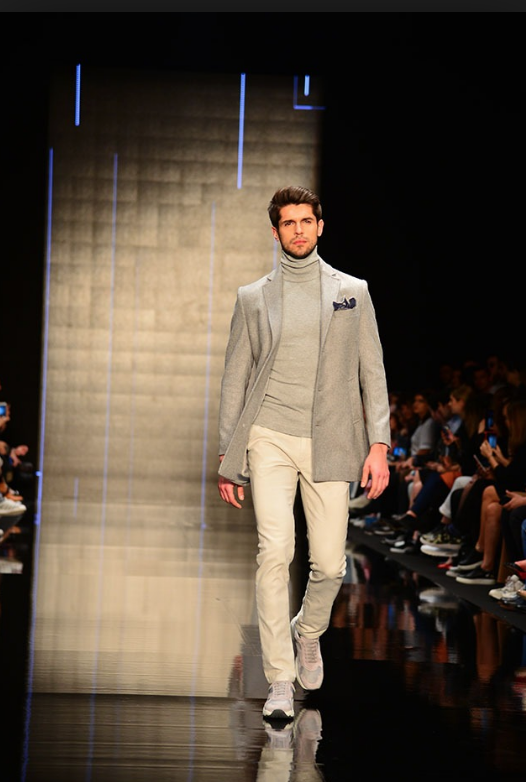 Turkish brand Kiğılı never fails to offer the modern man sophisticated sartorial options. Founded in 1938 as a men’s textile retailer, Kiğılı began it’s brand production in 1965 and opened its first store four years later. Kiğılı’s designs perfect the balance between rationality and flair. At Mercedes Benz Fashion Week, Istanbul, Kiğılı showcased a collection with pieces suitable for a myriad of occasion. 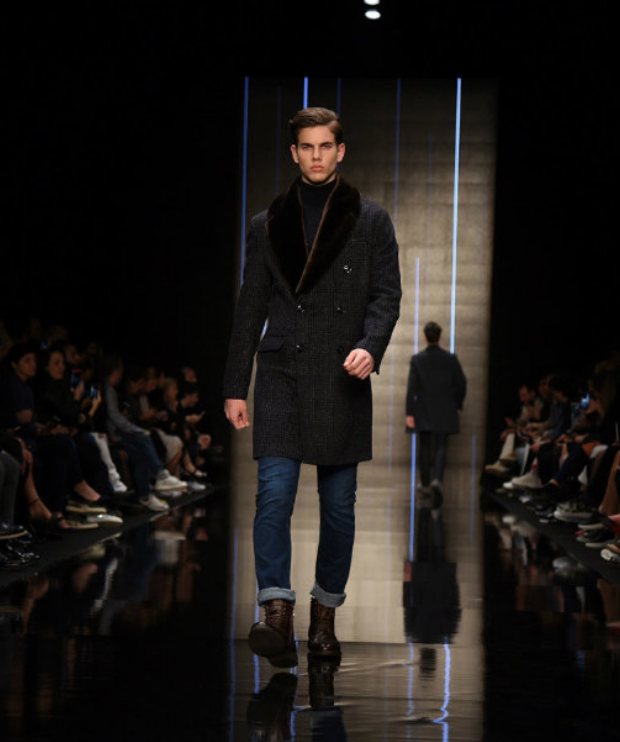 Both jeans and suits graced the runway, and monochromatic color schemes with occasional subtle patterns dominated the collection. Cuffed jeans dressed down a double breasted crombie coat, while a fur color lent it panache. Another favorite look consisted of slacks, a blazer, and a turtleneck flushed in a sandy aesthetic. Gülçin Çengel’s apt to adorn frocks with ostrich feathers and ornamentation imbue elegance in her designs. Gülçin attended the Izmir University of Economics where she studied fashion and accessories design, focusing on structural approaches by enrolling in classes from the industrial program. Following her education, Gülçin launched her eponymous label in 2013. Dreamy gowns and minis dominated Gülçin’s collection for Mercedes Benz Fashion Week, Istanbul. The collection featured a whimsical lavender gown with one shoulder. Ruches in fine strokes textured the bodice and sleeve, while silver beading finished with purple accents embellished the dress’s skirt. Another look saw a foreskin of airy feathers cover the model in the form of an asymmetrical mini. Yellow splashes lightened the dress’s dusty palette, while a neon belt brightened and emphasized the waist. With a keen attention to structure and delicate details, Gülçin constructed fashions for the refined woman with precious dignity.